1. They like to play! 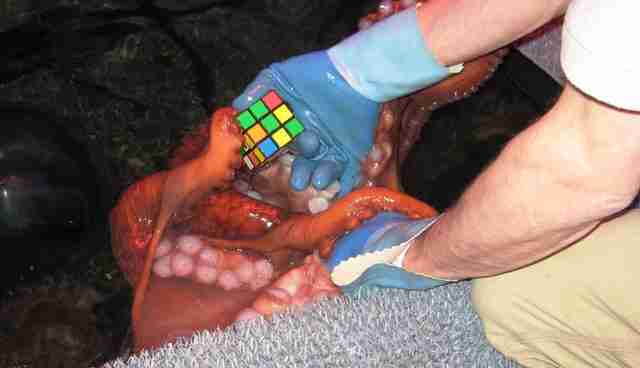 A giant Pacific octopus' intelligence rivals that of a cat or dog. At any aquarium, you are likely to find a personalized "O.E" (Octopus Enrichment) program, which includes custom-made games specific to an octopus' personality. Common activities include: fetch (with a rubber cat toy soaked in fish chum), puzzles that release a tasty frozen squid and frozen fish pops for a hot summer day! 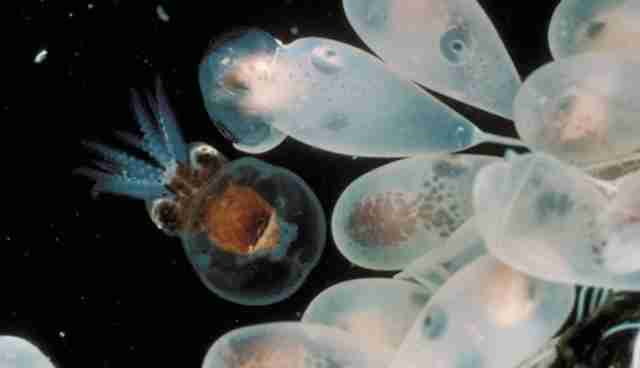 Octopuses remember faces and will excitedly rise to the surface for play time. Despite having a short life span of 3 to 4 years, octopuses often reach lengths of over 12ft. and can weigh more than 80 pounds. When born, however, they are smaller than a grain of rice. 3. They can walk on land! If you ever have a chance to go on a backstage tour of an aquarium, take a look at the setup for the octopus tank. You should notice that there are series of interlocking padlocks across the top. 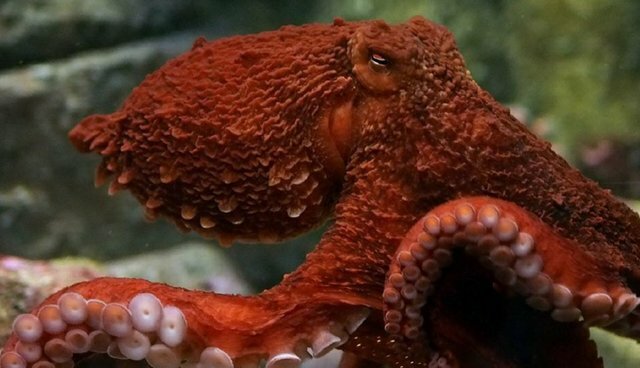 When left to their own devices, octopuses are likely to sneak out and rummage through the aquarium after hours (true story). Many aquariums around the country work with their local fishing communities to rescue any octopuses that become trapped in fishing nets. Octopuses are then nursed back to health before being released back into the wild. You can get involved by contacting your local aquarium or marine life center.